This article is about the Free Church of Scotland after 1900. For the Free Church of Scotland existing during the 19th century, see Free Church of Scotland (1843–1900). "The Wee Free" redirects here. For the 2003 book, see The Wee Free Men. The Free Church of Scotland (Scottish Gaelic: An Eaglais Shaor, Scots: Free Kirk o Scotland) is an Evangelical and Reformed Presbyterian denomination in Scotland. Historically it comprised that part of the original Free Church of Scotland that remained outside of the union with the United Presbyterian Church of Scotland in 1900. It remains a distinct Presbyterian denomination in Scotland, and is commonly referred to as The Wee Frees, although this practice has been recently challenged by the Free Church's Moderator. After the Church of Scotland, the Free Church is the second largest Presbyterian denomination in Scotland. The church maintains its strong commitment to the Westminster Confession and Reformed Theology. Its polity is Presbyterian. A complete psalter in modern English was published in 2003. Its offices and theological college remain on The Mound, Edinburgh, although the denomination no longer holds the original Free Church College buildings. The Free Church continues to be evangelical in character, presenting its understanding of the Christian message, namely that Jesus Christ is sole Lord and Saviour. In 1900 the Free Church of Scotland united with the United Presbyterian Church of Scotland to form the United Free Church of Scotland. However, a minority of the original Free Church remained outside of this new union. The protesting and dissenting minority at once claimed to be the legitimate Free Church. They met outside the Free Assembly Hall on October 31 and, failing to gain admission, withdrew to another hall, where they elected Colin A. Bannatyne as moderator and held the remaining sittings of their Assembly. It was reported that between 16,000 and 17,000 names had been received of persons adhering to the anti-unionist principle. It has been estimated that the number of Free Church communicants dropped from a little under 300,000 in 1899 to just over 4,000 in 1900. At the Assembly of 1901 it was stated that the Free Church had twenty-five ministers and at least sixty-three congregations, with most being found in the Gaelic-speaking districts of Scotland. The initial problems were obvious: the congregations soon grew in number, but were far apart; there were not nearly enough ministers; the church was treated in a hostile manner by the United Free Church; work was conducted under considerable hardship; and there was little success in appealing to the general popular sentiment of Scotland. However, the revenue of the church gradually increased; in 1901, the sustentation fund was able to support only 75 ministers, but by 1903 it maintained 167. After the union of 1900, the United Presbyterian Church and the continuing Free Church not only contested the legacy of the Free Church of 1843–1900, but also claimed its assets. After attempts at agreement failed, the matter ended in the Scottish courts. The litigation was initially decided in favour of the Free Church by the House of Lords in 1904, on the basis that in the absence of a power to change fundamental doctrines in the trust deed, a dissenting minority retains the property. As it was not possible for the Free Church to utilise all the property, Parliament intervened, generally securing for the church the congregational property she could effectively use plus a significant share of central assets. Free Church in Lonmore. The Free Church of Scotland has historically been known as "the church without the steeple." In 1906, a Free Church College was re-established in Edinburgh and by 1925 there were 91 ministers and 170 congregations in 12 presbyteries. The general magazine of the Free Church is The Monthly Record and there are magazines for young people. Two of the professors in the Free Church College began a theological journal the Evangelical Quarterly in 1929, but in 1942 control passed outside the church, initially to Inter Varsity Fellowship. Today the College offers degrees in conjunction with the University of Glasgow. Post-1945, the Free Church engaged with the wider evangelical cause, but after its growth in the early decades, it began a statistical decline that, except for a short period in the 1980s, continued throughout the 20th century. In the 1980s and 1990s there were allegations of sexual misconduct against Professor Donald Macleod, principal of the Free Church College. No misconduct was ever proven against Professor Macleod; he was tried and acquitted in 1996 in the civil courts. A faction hostile to Macleod pursued the charges in church courts, to no avail. There was considerable dissatisfaction with the handling of the charges, and claims of a cover-up. Anti-Macleod minister Maurice Roberts of the Free Church Defence Association (FCDA) publicly reiterated the accusations, and denounced the General Assembly for its "wickedness and hypocrisy". He was suspended for contumacy. His supporters demanded his reinstatement and refused to disband the FCDA. In January 2000, 22 FCDA ministers were removed from their pulpits. These and other ministers formed the Free Church of Scotland (Continuing) (FCC); they are approximately 20% of the ministerial strength of the pre-2000 Free Church of Scotland. From 2005 to 2010 the Free Church of Scotland saw an 18% drop in its membership. Following the split, the Free Church Continuing sought a declarator from the Court of Session as to ownership of the central funds and properties of the church. In a landmark decision, Lady Judge Paton dismissed their action without granting absolvitor. The Continuing Church then said they would appeal Lady Paton's decision, but ultimately chose not to proceed. 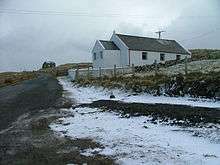 In March 2007, the Free Church filed suit to reclaim the church manse at Broadford, Isle of Skye. Lord Judge Uist ruled that the property belonged to the Free Church. The Continuing Church had to pay the expenses of the Free Church. The Continuing Church appealed to the Inner House of the Court of Session, which upheld Lord Uist. At the 2011 census, 10,896 people identified as being "Free Church of Scotland." The Free Church has about 100 congregations in Scotland and circa 80 ministers and 12,500 attenders. There has been a rise of attendance in worship services since 2007. About 50 dissenting or former Church of Scotland congregations had been talking about joining the Free Kirk because the Church of Scotland stance over gay ordinations. As of 2010, the Free Church had a community of about 12,000 including 4,425 communicants, and is evidencing a greater effort to bring the Gospel to bear upon an increasingly secular society. As of May, 2013 the Free Church worship attendance was 12,639, up from 12,431 in 2007. The number of people under 30 increased by 30% since 2007. The church is growing outwith the Western Islands, especially in the bigger cities. Sunday school attendance has grown by 25% in recent years, from 575 to 709 in 2013. In 2013, Murdo Murchison, an elder from Dunblane Free Church gathered a core group to plant a church in Stirling. With some growth it was recognised as a church plant in 2014 by the Glasgow Presbytery, and In 2016 appointed Rev Iain MacAskill as its first minister. There had previously been no Free Church in Stirling since 1948. In 2014 two congregations, the North Harris Free Church, and the Stornoway group of the High Free Church Stornoway and 2 former Kirk ministers have recently joined the Free Church, makes it total about 10 former Kirk pastors who have joined the Free Church. North Harris held its first service with around 100 people in attendance. Kirkmuirhill congregation and New Restalrig have also joined. 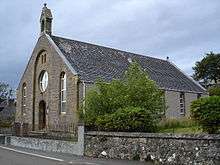 The High Free Church has regularly attracted around 300 people in Stornoway Primary School since leaving the Church of Scotland earlier this year. Stornoway High was previously the Church of Scotland’s biggest congregation on the Western Isles. In early 2015 an Inverness Church of Scotland pastor quit, and took some of his flock with him to set up a new Free Church congregation in the west of Inverness. Rev McMillan was unhappy about the Presbytery of Inverness, which voted against controversial plans to give congregations the freedom to appoint a person in a gay relationship if they wished. 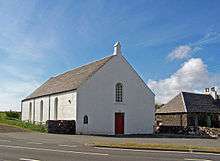 Other new churches welcomed into the Free Church included a new church in Leith planted originally in association with the Associate Reformed Presbyterian Church in the USA. and Christ Church, Craigintinney, a new church plant led by David Court. David led most of the congregation of New Restalrig out of the Church of Scotland. In 2015 Covenant Church in Newmilns, East Ayrshire joined the Free Church. Covenant Church had split from the Church of Scotland in 2013. The number of congregations have grown to 139 in the end of 2015. New churches continue to be planted, such as in Dunfermline and St Andrews and most recently Montrose in November 2015. There has been an increase in the numbers applying to the Free Church ministry, and studying in its Saturday course (provided by the Free Church College). Intimations may be read out before the first singing (in effect, before the actual service begins) or immediately after the reading, or before the benediction. A 'first' reading may appear between the first singing and the first prayer. This reading will be of relevance to the 'main' reading. A message to the children may appear after the first prayer, and children may depart for Sunday school or Bible class after the second singing. Lay preachers will replace the benediction with a short prayer. Since its inauguration until the events of 2010, only the psalms of the Old Testament (and in a very few instances, paraphrases of other parts of the Bible) were sung during the services. Musical instruments were never used. The November 2010 motion allowed that instruments can be used as an accompaniment and hymns may be sung, though at least one of the items of sung praise must be a psalm; some congregations continue to sing unaccompanied psalms only. There are over 100 congregations throughout Scotland, one in London and three pastoral charges in North America. The Church has maintained an extensive missionary commitment for its size, with missions in India, Peru and South Africa which now have self-governing status. Along with the Evangelical Presbyterian Church in England and Wales and the Free Church of Scotland (Continuing), the denomination is one of the three members of the International Conference of Reformed Churches from Great Britain, and one of seven European Christian denominations who founded the European Conference of Reformed Churches. There is a close relationship with the Presbyterian Church of Eastern Australia. ↑ "Sabhal Mòr Ostaig". Scots Gaelic translator. ↑ Seenan, Gerard (10 April 2006). "Fury at ferry crossing on Sabbath". The Guardian. Retrieved 20 August 2012. ↑ "Free Church in plea over nickname "Wee Frees"". BBC News. 22 February 2013. Retrieved 22 February 2013. ↑ "Religion (detailed)" (PDF). Scotland's Census 2011. 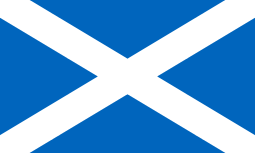 National Records of Scotland. Retrieved 4 July 2016. ↑ Sidwell, Mark. "The Presbyterians: History, Controversies, and Trends" (PDF). Detroit Baptist Theological Seminary. Retrieved 7 October 2011. ↑ "Outer House, court of Session". scotcourts.gov.uk. Retrieved 5 December 2010. ↑ "Opinion of Lord Osborne". ↑ "Rev Iain MacAskill accepts appointment to Stirling church plant". Free Church of Scotland. Retrieved 2016-02-28. ↑ "Worship Statement (Updated) Free Church of Scotland Decides to Allow for the Singing of Hymns and the Use of Musical Instruments in its Congregations". November 20, 2010. Retrieved 5 December 2010. ↑ "Free Church minister resigns over music in services". BBC News. 16 February 2011. Cameron, N., et al. (eds.) (1993). Dictionary of Scottish Church History and Theology. Edinburgh: T. & T. Clark. ISBN 9780567096500. OCLC 924744646.